SnapAV’s Distributor Acquisitions: The Amazon of Home Tech Channel? By Julie Jacobson · April 3, 2019 • SnapAV CEO John Heyman on acquiring regional distributors: 'Literally' no other place where dealers can get all the best home-technology products, plus stellar back-end support. By Julie Jacobson · March 15, 2019 • SnapAV acquires its third home-tech distributor after Allnet and Volutone: Powerhouse Alliance member MRI Distribution, with four branch locations in Connecticut, Massachusetts and upstate New York. By CE Pro Editors · March 11, 2019 • Volutone is opening a new West Coast warehouse on March 28 that will carry over 150 product lines and feature live demonstrations. 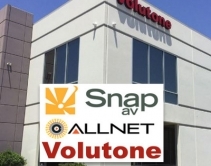 By Julie Jacobson · November 13, 2018 • Interview: Months after acquiring home-tech distributor Allnet, SnapAV adds Volutone for a total of 11 branch locations, with potentially more acquisitions to come. By Jason Knott · August 15, 2018 • Improved web portals, regular training events, self-pick warehouses with information kiosks, and broader product lines are among the abundant initiatives from distributors of audio, video, home automation and other home-tech products. By CE Pro Editors · March 30, 2018 • Exactly 7,500 votes from integrators identify the 2018 CE Pro Quest for Quality Award winners for outstanding customer service, tech support, deal programs and much more. By CE Pro Editors · May 3, 2016 • Distributor members of the PowerHouse Alliance, namely Volutone, 21st Century Distributing, CED and EDI, will conduct multiple dealer trainings and shows, along with celebrations for new and expanded locations. By CE Pro Editors · February 2, 2016 • PowerHouse Alliance members Volutone, ECD, Audio America and Mountain West will conduct several security and audio training sessions in February and March. Other sessions will cover Lutron, 2GIG, URC and room acoustics and houses of worship. By CE Pro Editors · February 26, 2015 • CEDIA will offer a series of networking training workshops at Powerhouse Alliance distributor member Volutone in March, April and May. By CE Pro Editors · November 12, 2014 • PowerHouse Alliance distributor members ECD, Ultimate Integration, Volutone, EDI and CTD Marketing plan multiple networking, home automation trainings for URC, Lutron, Vanco, Yamaha and Luxul, along with Dolby Atmos demos in November. 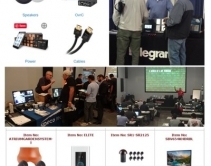 By CE Pro Editors · October 9, 2014 • PowerHouse Alliance distributors CED, 21st Century, Audio America, Volutone, Dorrance, CTD, EDI and others all unveil their slates of educational training courses for integrators for the last three months of 2014. By CE Pro Editors · August 14, 2014 • Sony is back in the custom distribution channel, and Volutone signs up again, continuing a partnership that started in 1957. By Jason Knott · March 28, 2014 • Fourth annual CE Pro Quest for Quality Awards recognize manufacturers and distributors for their championship-caliber services. By Jason Knott · June 6, 2013 • One full year after converting its Van Nuys, Calif., branch to a self-pick style distribution warehouse, Volutone reports whopping 30% revenue increase in average ticket purchases. 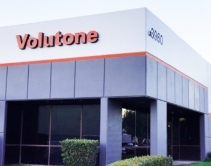 By CE Pro Editors · February 6, 2013 • NuVo Technologies' wireless line of home audio solutions will now be distributed by West Coast distributor Volutone.